C. Can I open a project file created with an older MAXQDA version in MAXQDA 2018? Yes, you can open projects created with older MAXQDA versions in MAXQDA 2018. In the dialog window that appears change the file type to the desired version of MAXQDA. 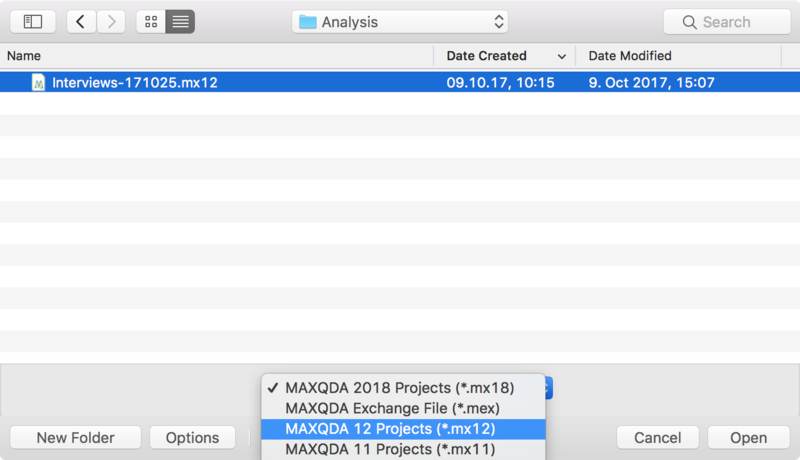 MAXQDA 2018 creates a copy of the project in the new MX18 format and saves the project in the same folder as the old project. View detailed instructions for this action in the “Starting the Program” chapter of the MAXQDA online manual.